Responsible for the Treatment: the company that decides on the purpose, content and use of the processing of their personal data. Treatment: any operation or procedure that allows the collection, recording, conservation, processing, modification, consultation, use, cancellation, blocking or deletion, as well as the transfer of data resulting from communications, consultations, interconnections and transfers. 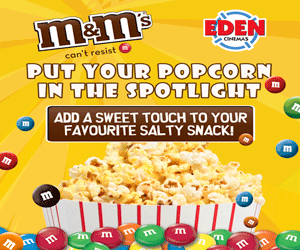 User: person who uses any product or service of Eden Entertainment Ltd, including this Website. Eden Entertainment Ltd is responsible for the processing of your personal data. 3. Why do we treat your data? • To provide the requested service, maintain it and manage the contractual relationship with the client. • Keeping the client updated on the changes in our terms, conditions or any information related to the modifications that may occur in the data protection regulations. • If you have given your express consent to do so, participate in personnel selection processes managed by the entity. In case you have given your express consent for this, sending information through electronic means of our newsletter about news, premieres, shows, promotions and / or our own loyalty campaigns that may be of interest. • Sending commercial information through electronic means on products and services similar to those that were initially the object of contracting with the client. In this regard, you are informed that, in order to be able to offer you products and services in accordance with your interests, ..., you reserve the right to develop a "commercial profile" based on the information provided. However, you will at all times have the right to withdraw your consent for any of the aforementioned purposes, without affecting the legality of the treatment based on the execution of the contract prior to its withdrawal. 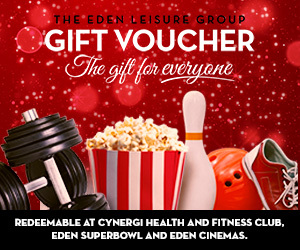 For this, you can write to the email address cinema@edenleisure.com indicating the object of your request. On the other hand, we inform you that the completion of all the data requested through the Website is necessary to achieve optimal provision of the services made available to the User. 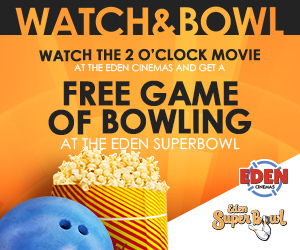 If all the data is not provided, Eden Entertainment Ltd does not guarantee that the information and services provided can be provided correctly or adjusted to the needs of the User. 4. What is the legitimating basis on which we treat your data? a: The provision of your express consent through the acceptance of the boxes that will appear in the corresponding data collection forms. However, you may withdraw the consent at any time, without affecting the legality of the treatment based on the consent prior to its withdrawal. 5. Who can we communicate your data to? 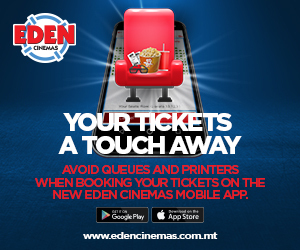 Your data may be communicated to other companies of the business group of Eden Entertainment Ltd, for internal administrative purposes, including the processing of personal data of customers. Likewise, your data may be communicated to duly authorized third parties when said assignment is legally enforceable in compliance with any regulations that may be applicable, such as, for example, to tax authorities, judicial bodies and any other entity that, depending on the regulations is deemed applicable. 6. What are the rights that assist you? • Access: allows the owner of the data to obtain information about whether we are dealing with personal data concerning him/her or not and, in such case, to obtain a copy of said data. • Rectification: it allows for the correction of errors and modification of the data that we have of you that turn out to be inaccurate or incomplete. • Suppression: allows data to be deleted and stop being processed by Eden Entertainment Ltd, unless there is a legal obligation to preserve them and / or other legitimate reasons. For example, when personal data are no longer necessary in relation to the purposes for which they were collected, the client may request the deletion by Eden Entertainment Ltd, without undue delay, of that data. • Limitation: under the legally established conditions, it allows the processing of data to be halted; in such a way that treatment is avoided by Eden Entertainment Ltd, keeping them only for the exercise or defense of claims. • Opposition: in certain circumstances and for reasons related to their particular situation, the interested parties may object to the processing of their data. Eden Entertainment Ltd will stop processing the data, except for compelling legitimate reasons, or for the exercise or defense of possible claims. • Portability: allows the interested party to receive the personal data that has been provided to us as well as those generated during the processing and to transmit them directly to another responsible person in a structured, commonly used and mechanical reading format. To exercise this right, it will be necessary for the client to provide a valid email. Eden Entertainment Ltd has adopted in its information system the technical and organizational measures legally required, in order to guarantee the security and confidentiality of the stored data, thus avoiding, as far as possible, its alteration, loss, treatment or unauthorized access.